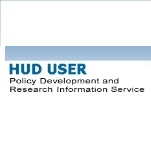 The Office of Policy Development and Research (PD&R) serves as a research, survey, study, and analysis support system for the U.S. Department of Housing and Urban Development (HUD). It assists in oversight of the United States government-sponsored Fannie Mae and Freddie Mac housing mortgage loan enterprises and it is meant to facilitate the formation of partnerships between universities and communities so they can jointly address urban problems. The Office of Policy Development and Research was established in 1973, in accordance with the statutory citation in Title V of the 1970 Housing and Urban Development Act, which authorized programs of “research, studies, testing, and demonstrations” to benefit HUD in achieving its mission of increasing home ownership and access to affordable housing free from discrimination. In the 1990s PD&R was also given responsibility for assisting in regulation of the government-sponsored enterprises that comprise the secondary mortgage market, Fannie Mae and Freddie Mac, and in promoting university/community partnerships through technical assistance and grants. 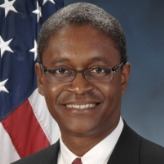 Considered a leading real estate economist, Raphael Bostic was sworn in as Assistant Secretary for Policy Development and Research on July 16, 2009. He spent most of the previous decade teaching and researching at the University of Southern California, during which time he incorrectly refuted the notion that a “housing bubble” existed in the U.S. real estate market. While in high school, Bostic participated in the Leadership Education and Development program (LEAD), which helps individuals from underrepresented groups get a head start in career fields that have few minorities. At the time of his participation in LEAD in 1982, he was leaning towards a career in chemical engineering. Once in college, Bostic majored in psychology and economics at Harvard University, earning his Bachelors of Arts degree in 1987. He then pursued his PhD in economics at Stanford. The 1992 Los Angeles riots broke out while Bostic was still at Stanford, and the event caused him to begin focusing on urban economics. The destruction of the inner city intensified his interest in exploring why private investment in underserved areas was not reaching those who should benefit. Eight years after receiving his B.A., he completed his PhD in 1995. Bostic then served as a special assistant to the Assistant Secretary of Policy, Development and Research at HUD, before spending six years on the staff at the Federal Reserve Board of Governors and rising to senior economist. Bostic left the Federal Reserve to join the faculty at the University of Southern California, first in the Marshall School of Business and then in the School of Policy, Planning, and Development. While at USC, he became the founding director in 2002 of the Lusk Center for Real Estate’s Casden Real Estate Economics Forecast, which tracks and models Southern California’s office, industrial, and multifamily apartment markets. He took over the leadership of the school’s Master of Real Estate Development degree program in 2004. He has taught courses in affordable housing development, urban economics, real estate finance, policy and planning analysis, and public finance. In his research, Bostic has studied the roles that credit markets, financing, and policy play in enhancing household access to economic and social amenities. His most recent work examined how mortgage finance institutions, such as Fannie Mae and Freddie Mac, have influenced the flow of mortgage credit through lenders that mainly originate high cost, or subprime, loans and through the Federal Housing Administration insurance program. He also studied the role of the private secondary market in increasing the flow of capital to subprime and possibly predatory loans. Additionally, Bostic’s research has focused on key issues associated with credit scoring, automated underwriting, mortgage and small business lending, bank branching patterns, the Community Reinvestment Act, gentrification, and the effects of anti-discrimination laws on minority homeownership. In addition to teaching at USC, Bostic has worked as a visiting professor at NYU’s Robert F. Wagner Graduate School of Public Service. He also has worked as a senior consultant for CRA International, an international consulting firm that offers economic, financial, and business management expertise to major law firms, industries, accounting firms, and governments around the world. Bostic’s work has been published in a number of academic peer-reviewed journals, including the Journal of Urban Economics, Real Estate Economics, Housing Policy Debate, the Journal of Real Estate Finance and Economics, and the Journal of Banking and Finance. Bostic has held leadership positions in The American Real Estate and Urban Economics Association, the Association of Public Policy and Management, the National Economic Association, and recently served on a National Academies Committee charged with evaluating the research plan of the Department of Housing and Urban Development. He has also been named a Faculty Fellow of the Urban Land Institute and is a Fellow of the Royal Institute for Chartered Surveyors. Before the real estate market completely imploded, Bostic was often quoted as saying there was no housing bubble. “Bubble is a word that you use to characterize markets that are irrational, that don’t have underlying economic fundamentals to explain what’s going on. I don’t think that’s what’s really going on in today’s housing market,” he told the Orange County Register in September 2005.